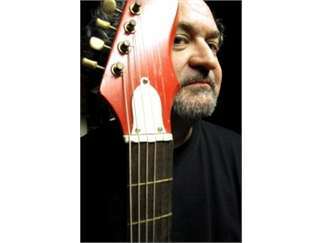 A fiery guitarist and talented singer-songwriter, Tinsley Ellis was inspired by the British Invasion bands such as The Rolling Stones, The Yardbirds and Cream. A live B.B. King show convinced him that he wanted to become a blues guitarist. He plays a unique blend of Memphis R&B, Southwest blues and urban funk. He has several recordings available on the Alligator, Capricorn and Telarc labels. He has shared the stage with The Allman Brothers, Robert Cray, Koko Taylor and Widespread Panic.